I coach male and female entrepreneurs with the help of business technology. With over 30 years of experience, I help my clients improve their business leadership. Hi Joey, I would like to speak with you briefly to see if you're a good fit to coach me. Please contact me at your earliest convenience. 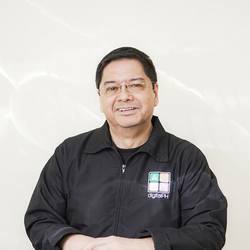 Improve business leadership with Joey Gurango, a business technology coach in the Philippines with over 30 years of experience. Book Joey as leadership speaker in your next event or conference. Have you worked with Joey? Tell your friends! Joey doesn't have any reviews yet. Joey hasn't submitted any articles.